Here’s how to find a biological dentist (in Finnish: Biohammaslääkäri) in Finland! So called bio-dentistry or holistic dentistry is surprisingly common in Finland, and the use of metal amalgam fillings is nowadays uncommon. While I cannot recommend any specific dental care center in Finland, you will easily find them by searching “biohammaslääkäri” in Google. You can also see the pages of the “Finnish Association of Bio Dentistry” (in Finnish: Suomen Biohammaslääketieteen Yhdistys ry) which lists it’s members who have received training in the field, and are committed to following the recommended protective measures to minimize the exposure of mercury. Especially, when you want to have your amalgam fillings removed. 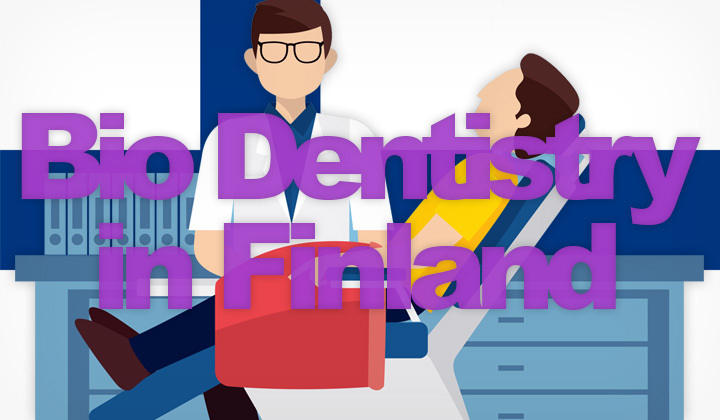 Their members consist of dentists located in Helsinki, Tampere, Turku, Jyväskylä, Lahti, Kuopio, Vaasa and Oulu. And there are several other dental surgeons in Finland which are not members but still committed to holistic dentistry. The websites are likely in Finnish, but you can use automatic translation software like Google Translate to get details in English. And of course, most doctors and dentist receptionists will be able to communicate in English. Please, share your experience on Finnish bio dentistry below! I am very interested in your comments. Thank you. Thanks for your visit & regards. David.